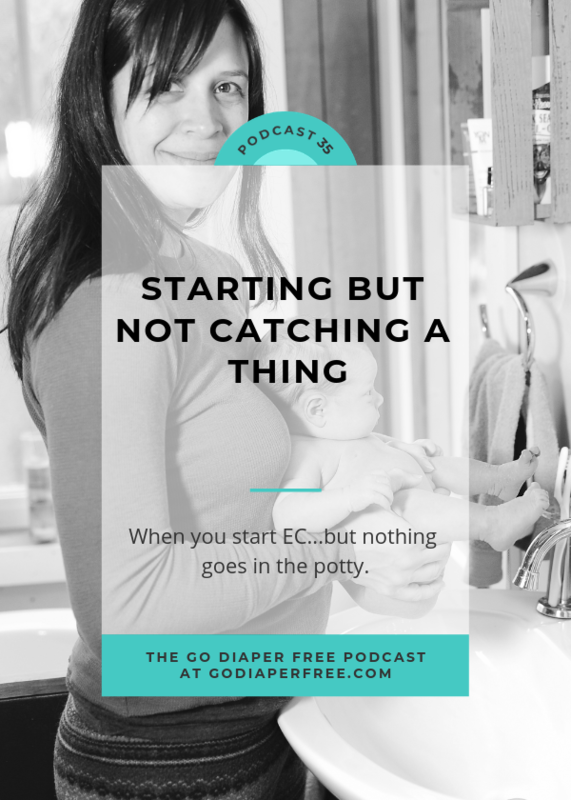 Today on the Go Diaper Free Podcast we're talking about what to do when you've started EC, but are having trouble getting a catch. Specifically, I'm answering a listener question from Debbie from Layton, Utah who has just started EC with her 8-month old daughter. 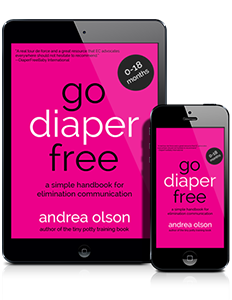 It can be disheartening when you've started Elimination Communication and every time you provide a pottytunity your baby has already gone! Today we'll take a step back and talk about two paths that you can take when beginning EC that might help on your journey. Have you ever used an observation log with your baby? Please leave a comment below with your experience! Prior to discovering EC, my husband and I (both data scientists) were using an app to record all our baby’s diapers, feedings, and sleeps. We’ve always been ones to change the little guy as soon as he’s wet/dirty, so this data became our de facto observation log when we started EC last week. It’s great because the app has different display modes that let you see potty time in relation to wake ups, nursing, and previous potties. It’s super easy to spot his naturaly timing. Now that we’re ECing, we add notes to each potty record like what cues we noticed, whether it was a miss or a catch, etc. Andrea there’s probably a business opportunity here for a baby tracking app designed for EC parents – just saying. “[B]ut. . .babies.” AMEN SISTER. The app we use is called Baby Manager.